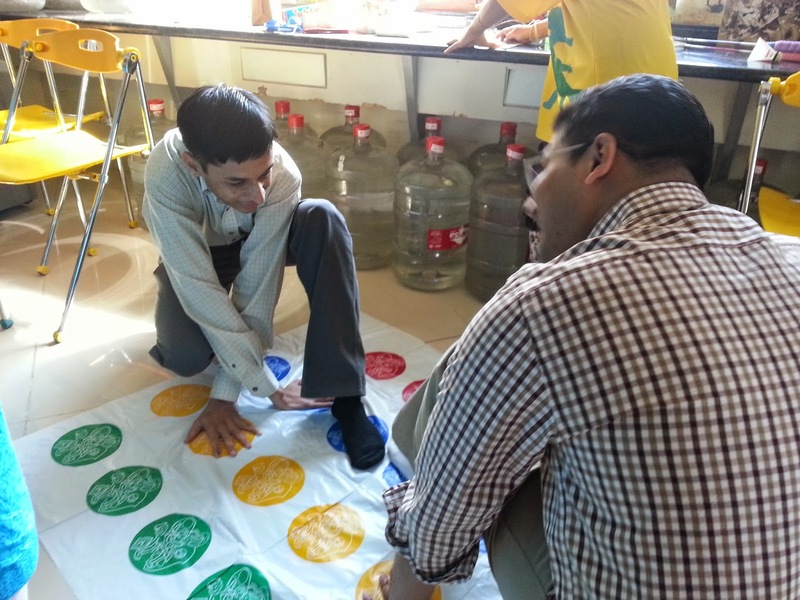 Power of Play workshop, 21st April 2014, Powai- Mumbai. 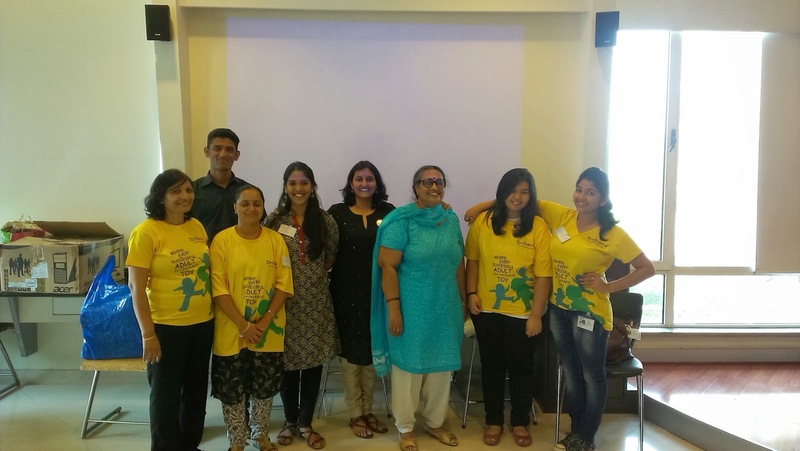 On the 21st of April 2014, Toybank conducted a workshop in Powai. We as volunteers, helped organise competitive games which had learning outcomes. 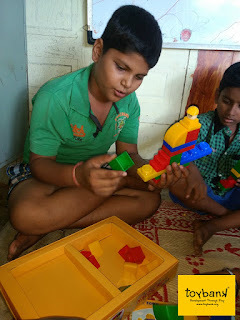 Power Of Play, our workshop was conducted in two parts. 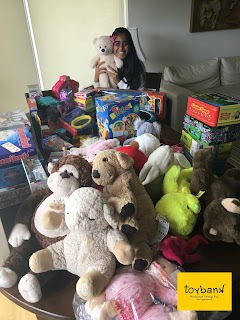 It was our first time helping Toybank with their workshop and the experience was one of a kind. With the objective of telling parents how important “Play” is for children, they lived like they were kids again for those couple of hours. It was an extremely amusing sight to watch these grownups enjoying themselves as if they were five years old again. Each volunteer was in charge of a particular category of play, the categories being Make-believe, Physical, Discovery, Strategic and Constructive. We had an array of games in each category and had to show parents how to play with them. During this time, we observed how the parents no longer knew the games their children play with. Their faces were filled with curiosity as they moved from one category to another in order to familiarise themselves with the games. After fifteen minutes of play time, they were made to stand in a circle and recite a poem written by a fellow volunteer. The parents were made to dance and sing which they did very enthusiastically. The learning objective was to show how learning could be fun and creative. As new volunteers, this experience was unique and enlightening. We thoroughly enjoyed every moment of it. The smiles that the workshop brought on these parents faces were priceless and will be ingrained in our memories.